Hosting a dinner party, especially during the holidays can seem like lots of work and honestly sometimes a hassle. I’m here to share with you my top 5 tips for hosting without the hassle. Hosting is my love language. This post is sponsored by Cracker Barrel and 100% my very own ideas. Let others help! Trying to do it all is for sure the biggest hassle. Of course, if you are inviting others for a special evening or casual dinner you may want to wait for them to offer to help. Most women I know tend to think they are placing a burden on others when they accept an offer to bring something. It really is a nice gesture to let them help. A dessert, bottle of wine, or appetizer can really help out. Prepare in advance. Anything that can be done ahead of time, do it. The decorating and table setting especially. You can make decorating simple and beautiful by using items around your home. I love to use gift wrap for table runners or faux greenery that I can move from place to place. Cute little accessories to napkins are always fun. I used twine and cotton stems I already had to tie around my napkins. 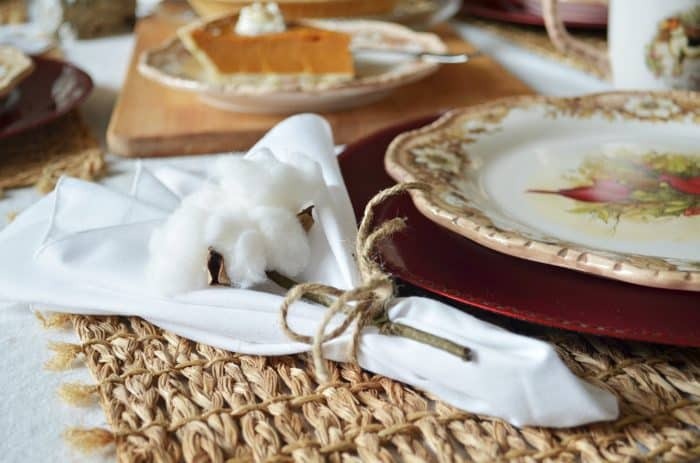 Always keep white or neutral colored napkins available because they easily match every season. Music sets the mood. This is true especially during your dinner party but don’t forget to use music to keep your spirits up during the prepping stage. Music just makes everyone feel better. Try it, I promise it helps. Use multipurpose tableware. 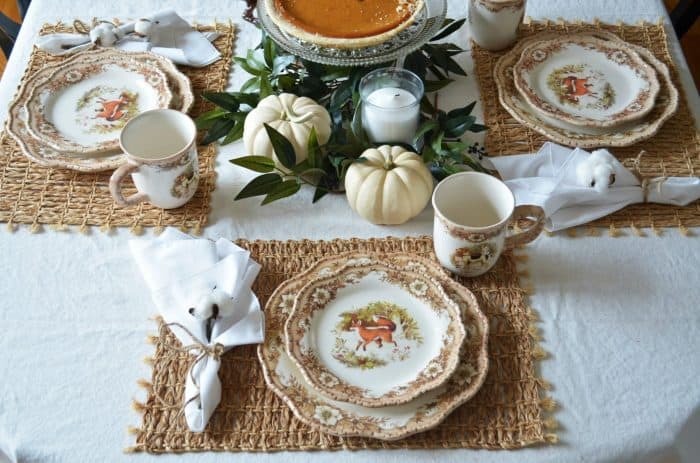 Buy items for your table that will work for more than one holiday. 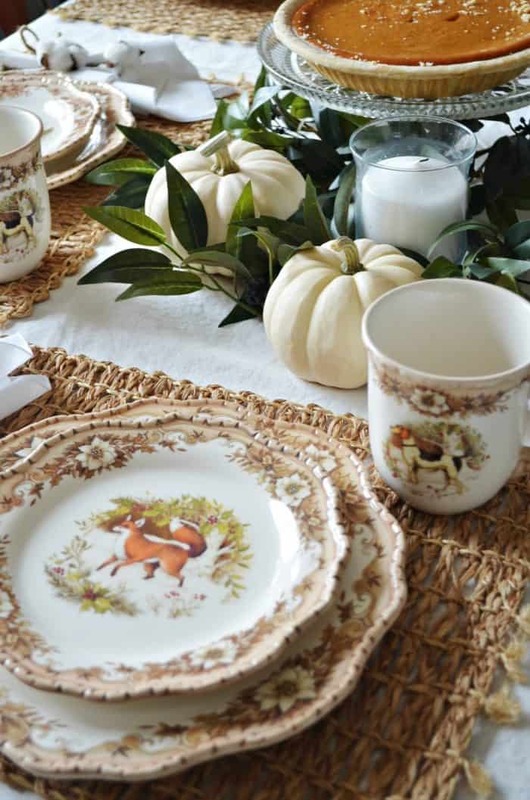 These Woodlands dinnerware pieces from Cracker Barrel are going to be useful all winter long. All I will need to do is change out some of the added decorating touches to move easily from Thanksgiving to Christmas and even into January. Cracker Barrel always gets me with so much goodness in the shop. You need to check it out. 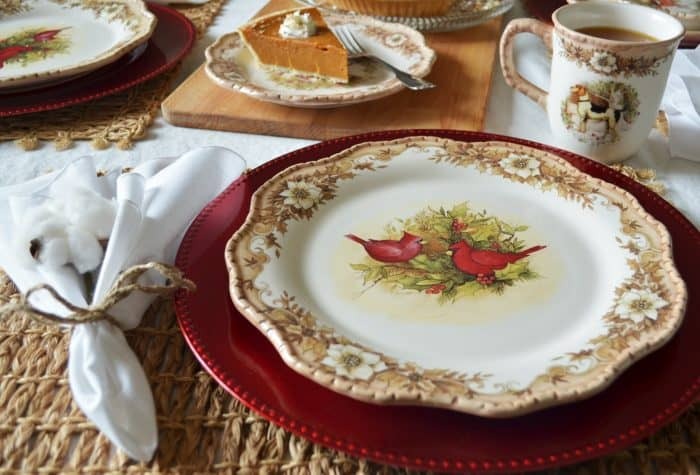 They have an extended assortment of dinnerware on in the online shop, this product is exclusive to Cracker Barrel, and it has versatility for Thanksgiving, Christmas and throughout the year. Check out Cracker Barrel’s holiday sales! For Thanksgiving I added some greenery and a few pumpkins. Then for Christmas, I will just add my red chargers and instant change! The details on this dinnerware is amazing. Super easy, and hassle free. Ready for my next guest. Store bought is a great thing. Ready made food will be a life saver for hosting a hassle free dinner. 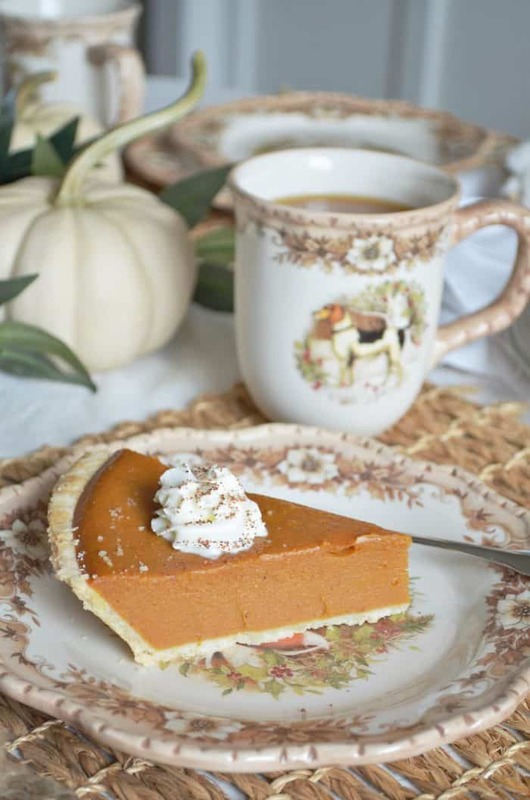 These ready to serve holiday pies from Cracker Barrel are delicious. You can order online and pick up at your local restaurant. I hope you found these tips helpful and they inspire you to bring #JoyToTheTable. Remember why you’ve invited people over in the first place. To share life together. 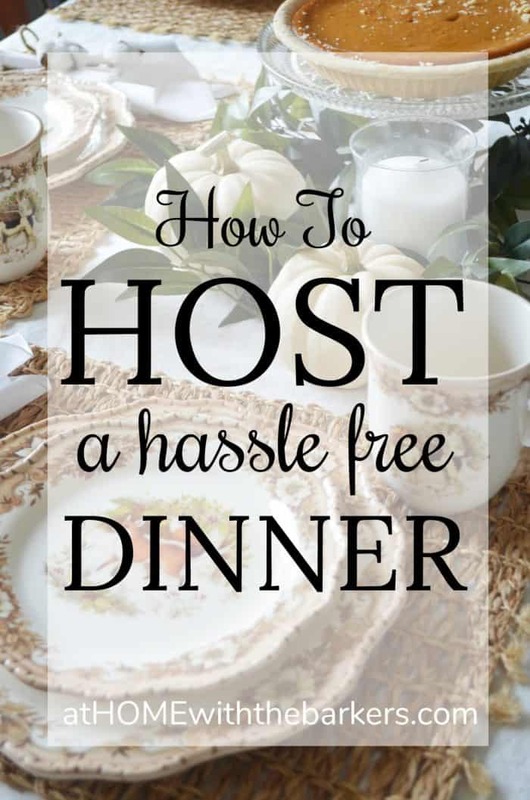 Have more tips for hosting a hassle free dinner? I’d love to hear about them. Perfect!! That does make a great printable. so beautiful!! And great tips – thank you! I love this Sonya! 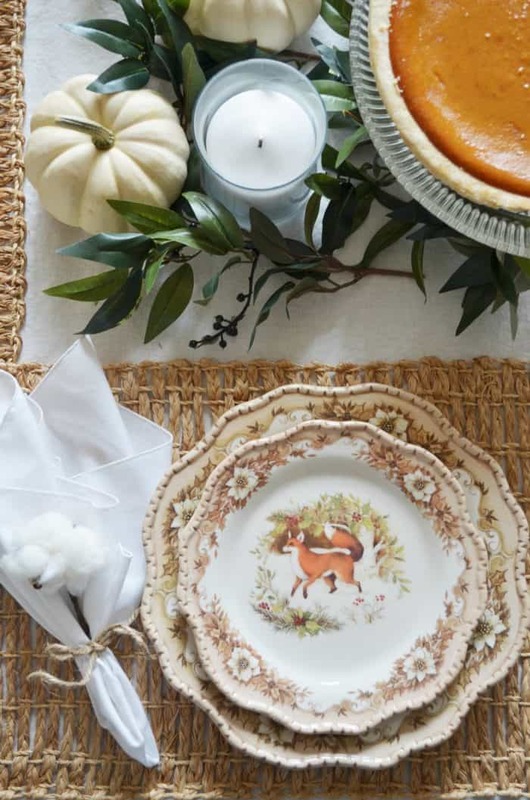 Those fox plates are adorable and the centerpiece is perfect. Beautiful setting! 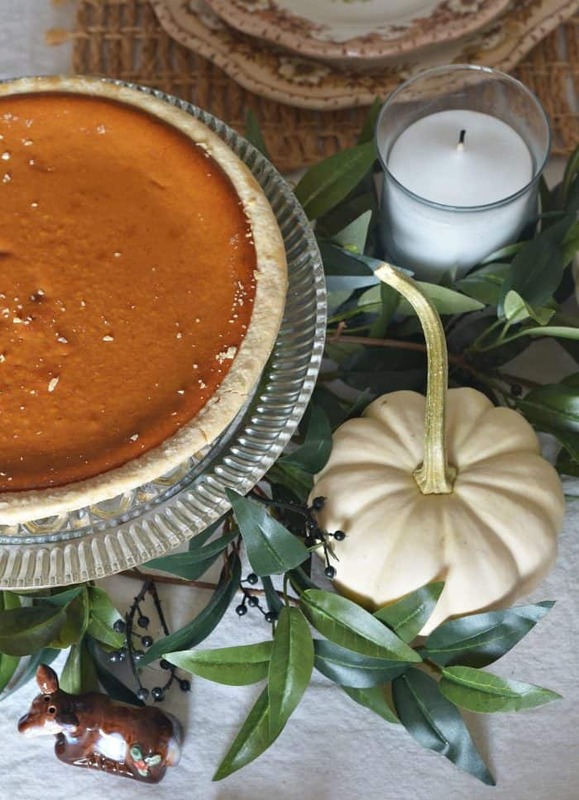 Pie centerpiece for the win!! Thank you so much! Most of us don’t even think about the Cracker Barrel shop until we stop in the eat.